The 4 inch roof vent cap with collar is designed to exhaust 4" bathroom and kitchen fans through the roof and can be used with 4 inch or 6 inch duct. 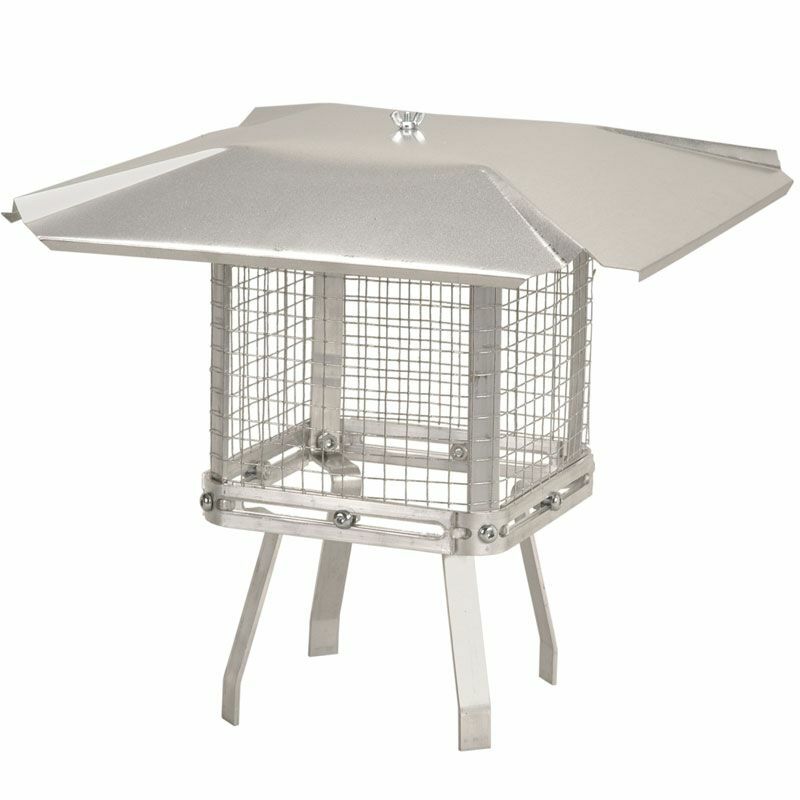 Also fabricated with a durable galvanized steel construction with powder coast paint finish. The 6" black matte increaser is used for connecting single wall stove pipe to chimneys and vent stacks. Allows for 6" diameter round pipe to connect to 7" diameter round pipe. Sturdy, 24 gauge construction designed for optimal heat efficiency and long-term use. Crimped on one end to easily fit into pipe or fitting of the same diameter. The 7" black matt tee, constructed with highly durable 24 gauge steel, is used for connection to round pipe of the same diameter to extend a single-wall duct system. It features a 90 degree angle for easy cleaning, and can be capped with a 7" end cap (not included). Universal Aluminum Chimney Cap is rated 1.0 out of 5 by 1. Rated 1 out of 5 by flwrbe from Nothing but trouble I bought this a couple of years ago and had my handyman install it. The first time it got a bit windy it blew off. I then had my handyman glue it down and it worked, for awhile. The recent winter winds left the base in place but tore of the cap part. The cap is just too big allowing the wind to catch it. Now I'll need to replace it and pay my handyman yet again for the install.